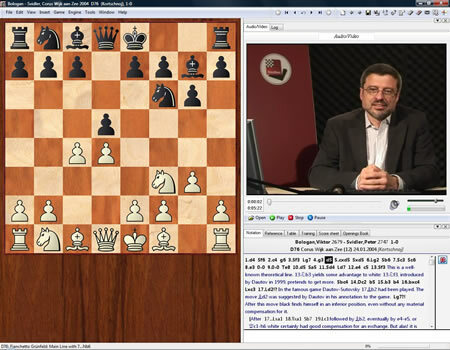 Many top players have tried to “refute” the Gruenfeld, honourably failed and ended up defending its charms with remarkable success. The opening is fully covered in 50 sections covering all lines of any importance. 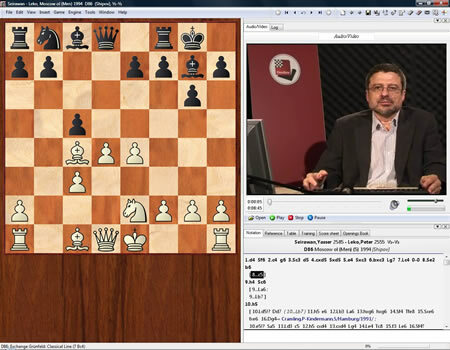 Two bonus sections discuss typical endgames - Black usually has equal or superior chances in Gruenfeld endings - as well as characteristic middlegame pawn structures. The DVD presents a repertoire - for each variation the author shows the best or most promising line for an amateur or tournament player. 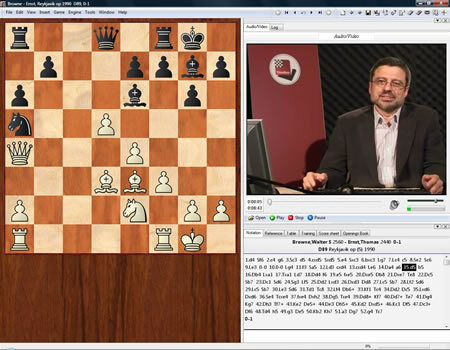 The games database gives the chance to understand more than 8000 Gruenfeld games played by the best players - 1300 of them deeply annotated. The majority of the notes are by Krasenkow and Ftacnik who have dilligently covered the opening in ChessBase Magazine for two decades. Video running time: 7 hours 21 min.